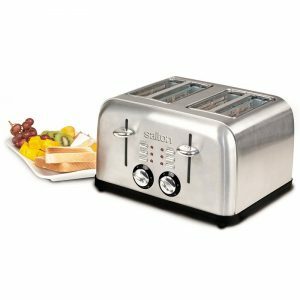 The sleek style of the Salton Long Slot 4 Slice Toaster will enhance any countertop all the while saving space. One size fits all! 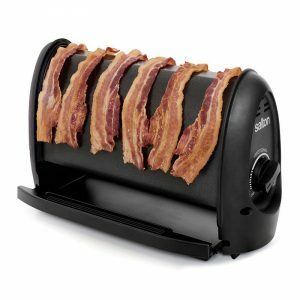 The long slot design allows you to toast any size waffles, bagels, and artisan breads. The extra wide slots can accommodate both thick and thin slices and the electronic sensor ensures consistent results every time. 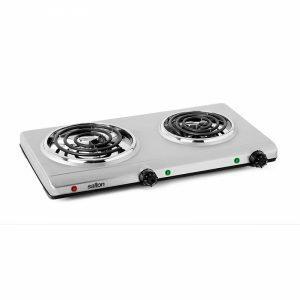 With variable browning control and a stylish, modern design, this new take on a classic appliance is a kitchen must-have! Bake it! Toast it! Broil it! Roast it! 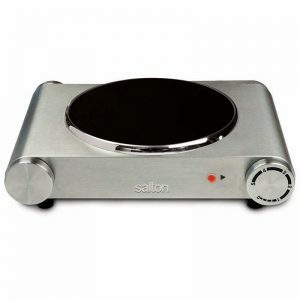 The Salton Pressure Oven uses Pressure Technology to cook 35% faster than traditional ovens. 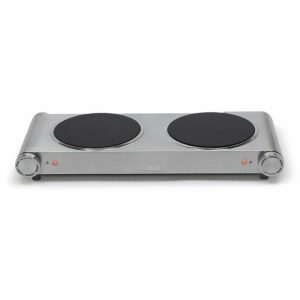 This oven is multi-functional and allows you to use with pressure or as a traditional oven. The included rotisserie rack can roast a full chicken and serves a flavour-enhanced result. 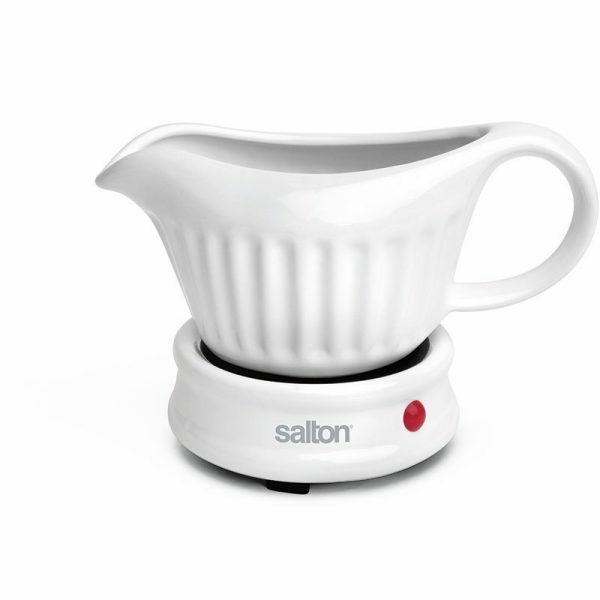 Pressurized cooking seals in moisture and infuses your meal with flavour. 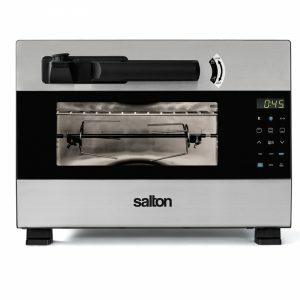 With dishwasher safe accessories and a 5 point safety system, the Salton Pressure oven makes pressure cooking easier than ever. 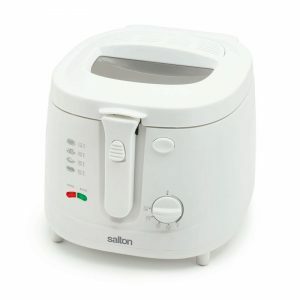 Salton’s 6 Cup Rice Cooker can cook up to 6 cups of perfect rice and keep it warm until you are ready to serve. The non-stick bowl removes for easy cleaning! 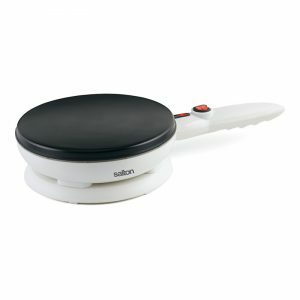 Comes with a convenient ‘stir and serve’ spatula, and a glass lid to monitor the cooking process. Make the perfect amount of fluffy rice every time! Can’t get thin crepes consistently every time? Try this easy-to-use cordless Crepe and Tortilla Maker. Just dip the cooking surface in the batter and watch your recipe come to life. Comes with a bonus batter dish and spatula so you’re ready to start creating right out of the box! Make the perfect waffle every time in less than 3 minutes!! This affordable Belgian Waffle Maker boasts cool touch handles, compact upright storage and a handy cord wrap. The non-stick cooking surfaces makes removing the waffles a breeze – ensuring no waffle is left behind! 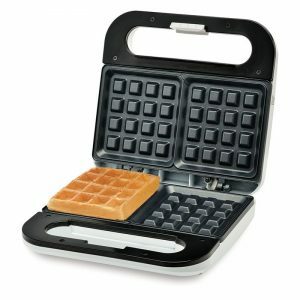 With a recipe book included, this Belgian Waffle Maker is perfect for every kitchen, dorm or even office! 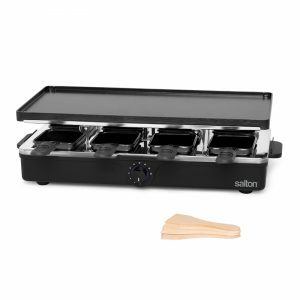 Salton’s Rotary Waffle Maker bakes a 7” authentic Belgian style waffle with deep pockets to catch all the delicious toppings you decorate your waffle with! 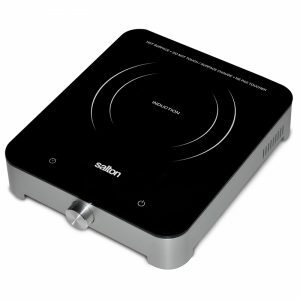 The 180° rotary feature ensures consistent baking and even browning. 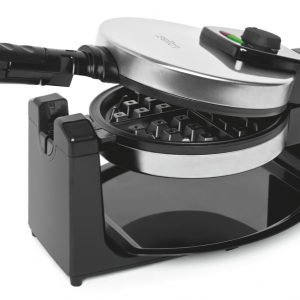 For those who like their waffle extra crisp, use the adjustable browning control to set your desired level. Pre-cook your waffles the night before? No problem! Set the adjustable control to low to reheat and crisp cold waffles. Indicator lights will let you know when the device is ready to pour the batter, and will also let you know when the cooking is done to ensure a foolproof performance every time! 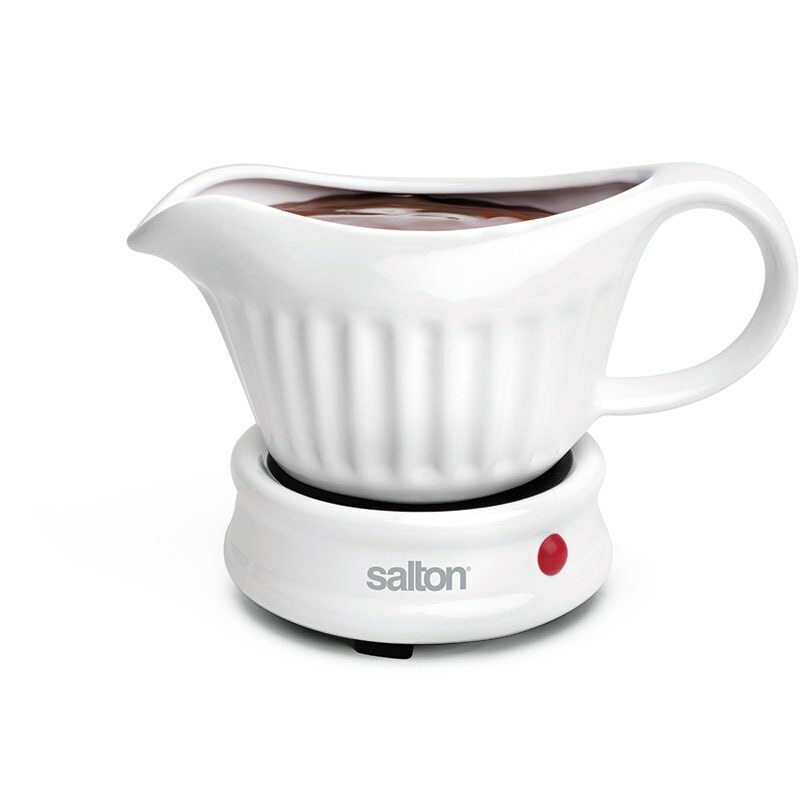 The classic, elegant style of the Salton Electronic Toaster will enhance any countertop. The extra wide slots can accommodate both thick and thin slices of bread and the electronic sensor ensures consistent browning every time. 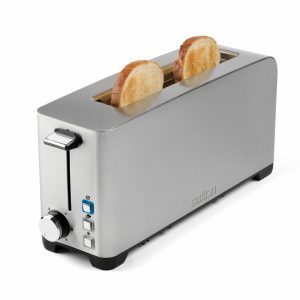 Equipped with the ability to defrost, reheat and toast, this toaster will cover all your toasting needs. 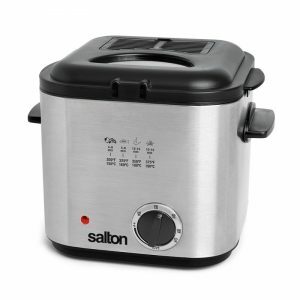 The classic, elegant style of the 4-slice Salton Electronic Toaster will enhance any countertop. 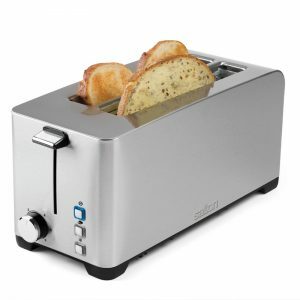 With separate control panels for each side and extra wide slots, you can toast thin slices of bread and thicker gourmet breads at the same time without worrying about one of them burning. Equipped with the ability to defrost, reheat and toast, this toaster will cover all your toasting needs. Say hello to smokeless cooking! 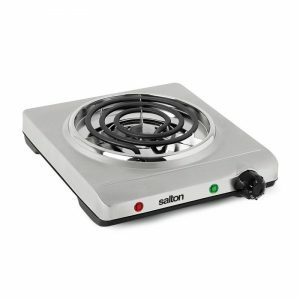 With the Salton Smokeless Grill you can now grill and griddle indoors with no smoke thanks to coil heating technology and a cross flow fan. 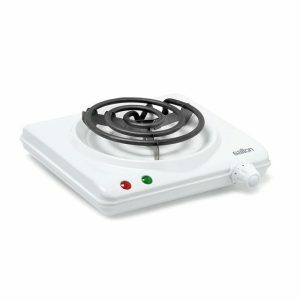 The Heating Coil provides precise cooking with variable temperature control while the Cross Flow Fan guides smoke away from surface for a virtually smoke-free experience! This grill is completely detachable making it easy to clean — most parts can be put in the dishwasher after use and reassembled when clean. 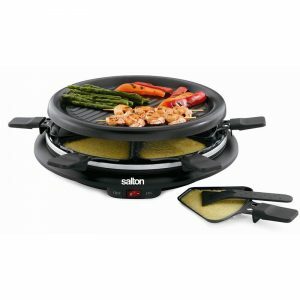 Includes two non-stick plates: a grill perfect for meats and veggies and a griddle perfect for breakfast foods. 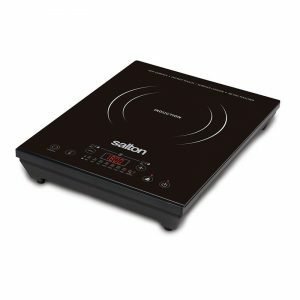 This grill locks in heat and delivers tender, juicy results all while extracting fat for a healthier cooking experience. Perfect for quick and easy meals! 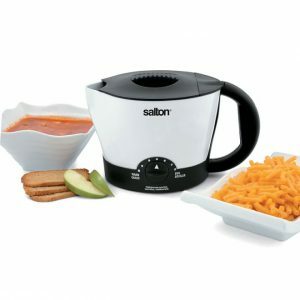 This Multi-Pot boils water, cooks macaroni & cheese, heats soups, pasta and rice. 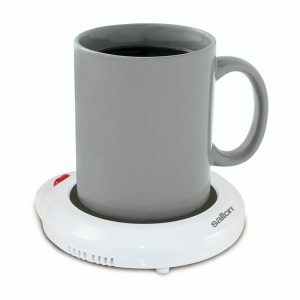 This one machine is more versatile than your kettle and more convenient than your stove. Perfect for home, office or dorm! 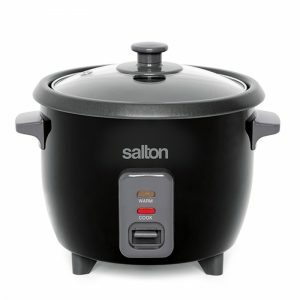 The pressure cooker that does it all! 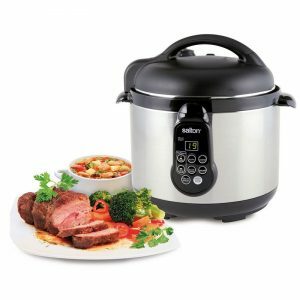 This functional pressure cooker can: warm, brown, steam, slow cook and pressure cook. With its 5 litre capacity, it will save you up to 70% cooking time on a wide variety of meals. Even tenderizes lean beef while preserving flavours and nutrients. 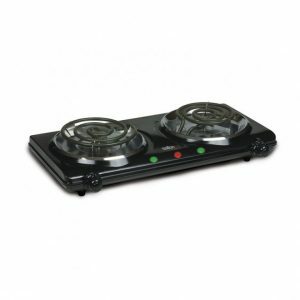 The heavy gauge cooking pot distributes heat uniformly and has a non-stick coating for easy clean-ups. Also comes with a ‘Stir & Serve’ spatula and measuring cup. Spend less time in the kitchen and let the Multi-Pot work its magic. 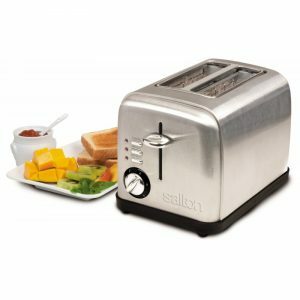 The sleek style of the Salton Long Slot 2 Slice Toaster will enhance any countertop all the while saving space. One size fits all! 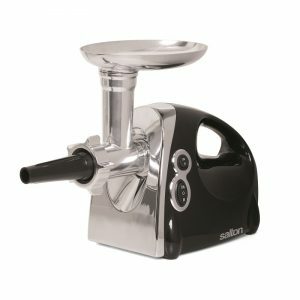 The long slot design allows you to toast any size waffles, bagels, and artisan breads. The extra wide slots can accommodate both thick and thin slices and the electronic sensor ensures consistent results every time. 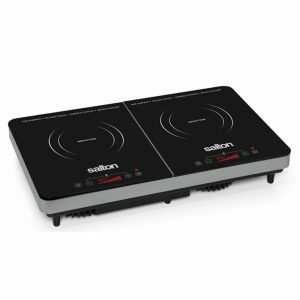 With variable browning control and a stylish, modern design, this new take on a classic appliance is a kitchen must-have! Who doesn’t love a great panini? 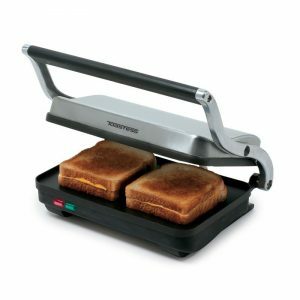 This stainless steel Panini Grill accommodates various sizes of sandwiches thanks to its floating hinge. With 1000 watts of power grilling is super fast and indicator lights let you know when your sandwich is ready to eat! Enjoy mouth-watering Panini’s in minutes. Make delicious pocket sandwiches and snacks in under 5 minutes! This Sandwich Maker is easy-to-use, easy-to-store, easy-to-clean and ultra-portable making it ideal for the home, office, dorm or just about anywhere! 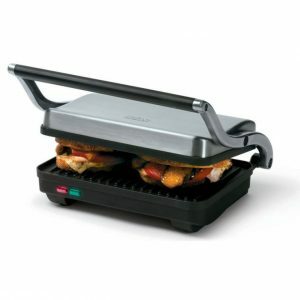 Make breakfast, lunch and dinner in this amazing 3-in-1 machine by simply switching out the interchangeable grill plates. 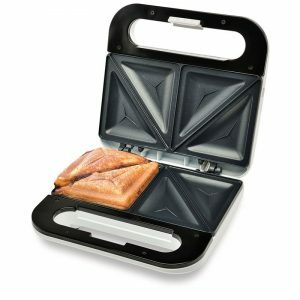 This 3-in-1 Sandwich/Panini/Waffle Maker is easy-to-use, easy-to-store, easy-to-clean and ultra-portable making it ideal for the home, office, dorm or just about anywhere! 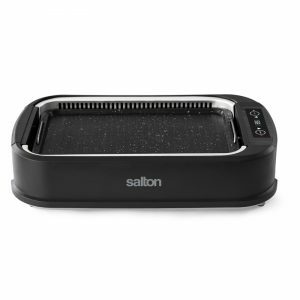 Enjoy perfectly toasted sandwiches with the Salton Stainless Steel Sandwich Grill. The floating top plate grills bread evenly and quickly and can accommodate both thick and thin sandwiches. Whether you are in the mood for a grilled cheese, hot dogs, a baguette, bagels or a pita, this sandwich grill will have all your toasting need covered!